Thanks for taking the time to learn more about our men’s ministires. CrossWay offers a variety of different activities geared towards men. All our events are open to all men: Married, single and divorced. We try to do activities that men can relate too. We have monthly guys outings and Bible study and other fun events. CrossWay Church offers a peer mentoring group for men. This group meets once a month to talk about life and a particular topic or book. Check the calendar for more info! 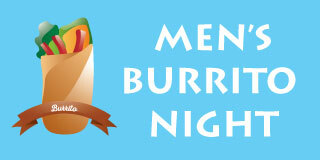 The guys of CrossWay are one a quest to find Clark County’s best burrito. They get together once a month at a different Mexican restaurant until the can crown the winner! 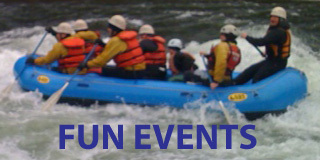 We offer other fun events throughout the year as well. Past events have included Whitewater Rafting trips, Beer Brewing Classes , a Portland Beaver’s Baseball game, and much much more. Check the calendar for more info! Check our calendar to see what we are currently offering.